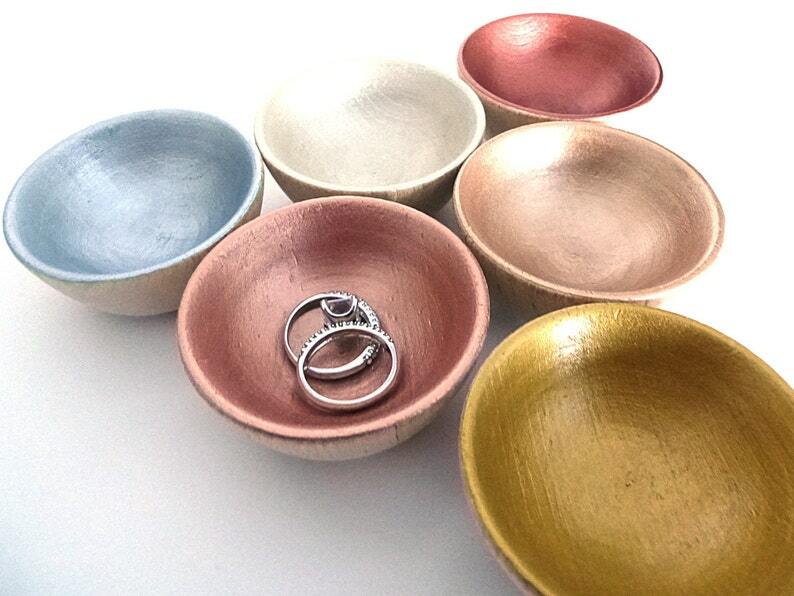 Store your jewelry or other tiny items in style in this painted wood bowl. Choose from Gold, Silver, Bronze, Pearl, Rose Gold or Warm Rose Gold. Makes a perfect place to store your rings while washing your hands or showering! Bowl measures 1 1/4" tall, 2 1/4" diameter.